I’m often told that I don’t look my age. It’s really nice to hear that especially since I just turned the big 50 last year. Just the other day while paying for my groceries at our market the clerk made a comment while I was paying for my wine. I told him my age and his jaw dropped to the floor! Since turning 50 I decided to up my anti aging skincare routine. I’ve added new key ingredients that every women should be using. I am not a skincare expert. 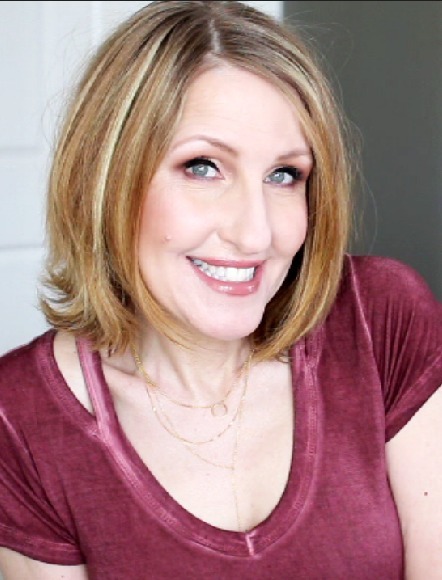 I’m just sharing what I know and what I’ve learned about each of these key ingredients for anti aging skincare. I’m just sharing the basics with you. Retinol is vitamin A. 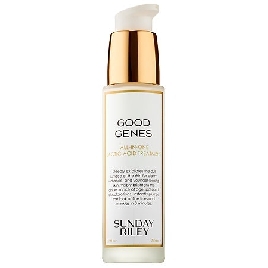 This will diminish fine lines and help eliminate discoloration and spots from sun damage, and it will plump your skin. If you have deep lines or wrinkles using a Retinol will not help. Start out slowly using once or twice a week. You will notice skin cell turn over as you may start seeing dry patches due to this. Many people will stop using it because of this. But if you stick with it you will see results. Always, always use a sunblock with a SPF of at least a 30 when you are using a Retinol. This should be used at night only. You can get a prescription from your doctor or you can purchase products that have a Retinol in them. These will be as effective as one you can get from a doctor. But since the strength will be less it will take a little longer to see results. I’ve been using Luna from Sunday Riley for about 4 months. I’ve been slowly seeing some results and since using this I’m ready to get something that’s a little stronger. I really think it’s best to work your way up and use something that’s a lower percentage up to something a little higher. You can talk to your doctor about this. 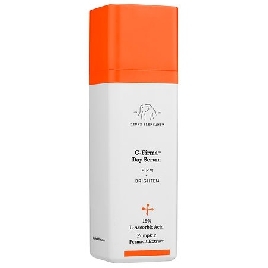 Vitamin C serum will plump your skin and also diminish the signs of sun damage. It also helps stimulate collagen production. It also helps protect your face from the sun but is not a replacement for sunblock. It actually helps your sunblock. I apply this each morning before my moisturizer and makeup. Make sure to always purchase a vitamin C serum that is in a covered air tight container. If it’s not in a proper container this will go rancid fast and will get less effective each time it’s exposed to air. I use one from Drunk Elephant it’s called C-firma. In my opinion it’s one of the best on the market currently. Pepides are amino acids made by fragments of protein. As we age our bodies lose collagen. When collagen breaks down it forms amino acids which is a peptide. When a peptide is applied to your skin it breaks it down and turns it into a collagen. Matrixyl is a common peptide used in skincare. I prefer to use a serum instead of a cream. I personally feel that a serum absorbs in your skin quicker. A cream will start to break down as soon as you start touching it with your fingers. One thing that I’ve done since I was a teenager is to always make sure that I clean my makeup off each night before going to bed. You need to get all that off so it doesn’t block your pores. Even if you don’t wear makeup it’s still a good idea to wash your face off each night to remove any dirt that built up on your face. As I’ve gotten older I also started cleansing my skin in the morning. My night time cleansing routine is a two part. I first take my makeup off with a micellar water. This will remove your makeup, dirt and oils. 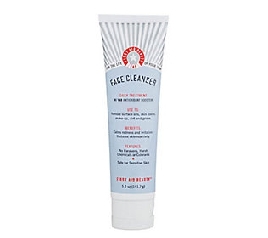 Then I go back and use a mild foaming cleanser to make sure that my pores are clean as well. I started using microfiber wash cloths and they are amazing. These will get all that makeup and dirt off of your face. You’ll actually see it on the wash cloth. I purchased mine from Amazon and they were pretty cheap. Make sure you are exfoliating your skin. Especially on your face. We all have dead skin. I know it sounds gross but it’s true. We need to exfoliate as it will help give our skin a glow. Exfoliating will also help your serums and moisturizers to perform better. I prefer to use a chemical exfoliator with a lactic acid. For this I use Good Genes from Sunday Riley. 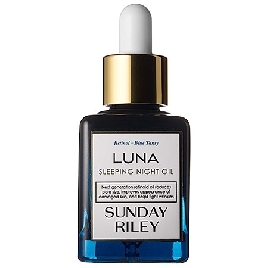 I use a pump over my face before bedtime and before I add my Luna (Retinol). I find that using a chemical exfoliator works better on my skin as opposed to an exfoliator that has granules like a sugar scrub. I was finding that my skin was getting dry and irritated from a granule exfoliate that I was using. Some people are sensitive to using lactic acid so you need to see if this is something that will work for your skin. My skin is really sensitive but I’ve had no issues so far. It’s never too late to start taking care of your skin. Even if you were a sun worshiper you can totally turn back time by taking care of your skin today. Just by incorporating one or all of these into your skincare routine I guarantee if you will see a dramatic change in your skin. Below is a shopping source for the products that I’m currently using. Below this list I will share my latest video on this subject along with my current skincare routine. Read More: Click on the links below to read more. Below links are affiliates. See my disclosure policy. Which product can I use to remove hyperpigmentation I need help.